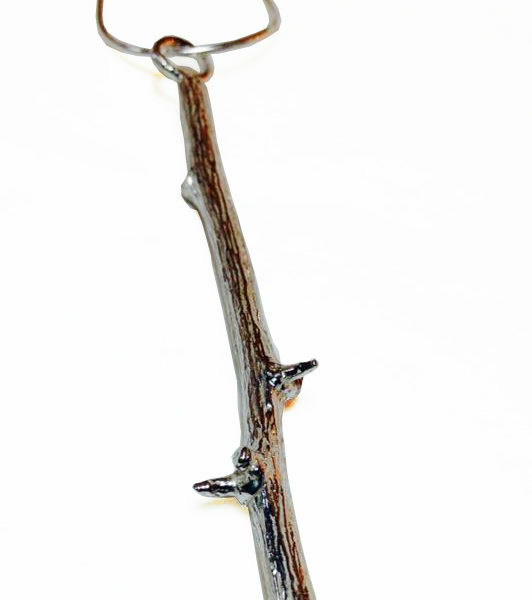 The silver Twig Pendant is a long pendant on a necklace with a choice of finishes. 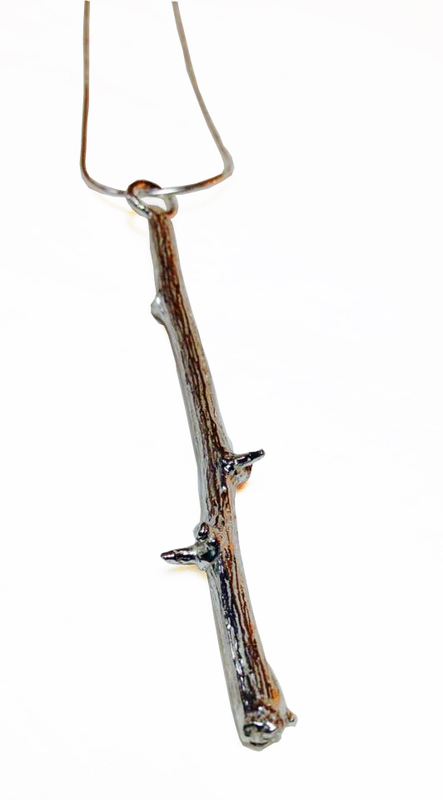 Read more about the Twig Pendant below. The Silver Twig Pendant is a silver long pendant that is taken directly from a casting of a real twig, it has beautiful natural gnarls, ridges and texture. 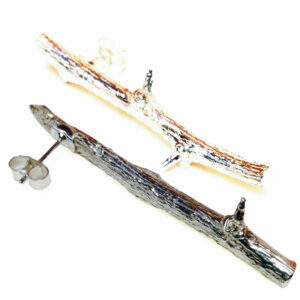 The silver Twig Pendant is approx 8cm long and has a roundish profile. It is supplied on an 18″ silver snake chain and is designed to be worn by both men and women. The necklace pendant is made in either polished, matt or oxidised finish and as with all my work, it’ll be sent gift boxed with free UK delivery.